wrote this nearly a month ago. Then the screen on my computer slipped, dropping all controls out of sight. It could not be repaired. Nothing is lost – all stashed away in the Cloud – but I was without the internet until now. This is written on an old stand-by machine until this weekend, when there will be a decision made about its replacement. 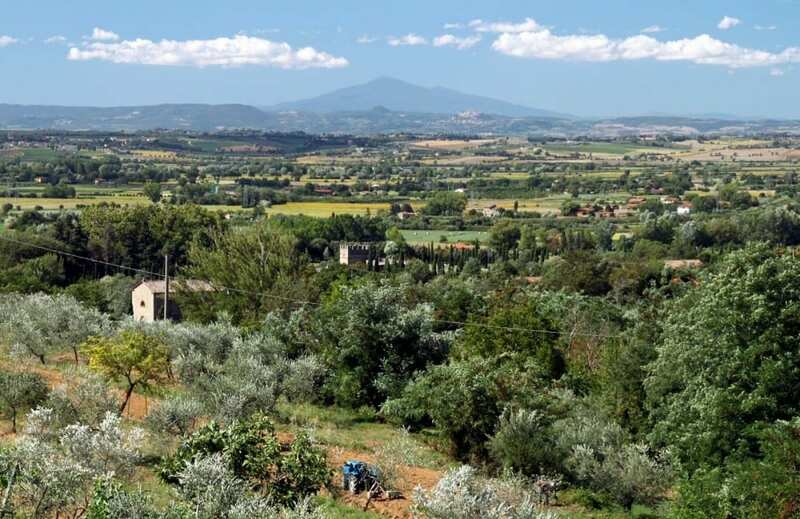 When we first arrived in Tuscany Sisto (the sixth child and they must have run out of names) had been living in his family home for decades, and his forebears before him. They had been on a share-cropping contract for centuries, only able to buy the farm and a few fields around it after 1964 when the system – probably dating from Roman times – was abolished. 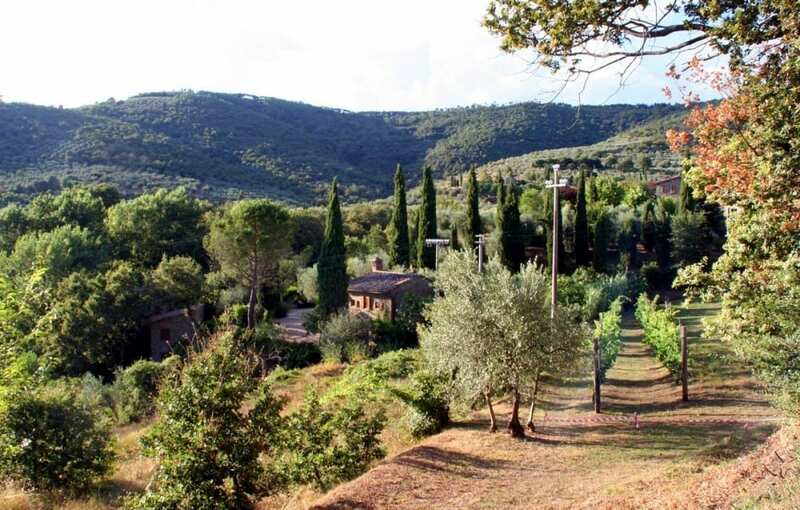 He sat, like a green Buddha under the corrugated iron roof over the balcony and outside stairs, surveying the countryside down the valley and across it to Monte Amiata. A fine view that often echoed to his calls and conversations with his neighbours still cultivating the fields below. He suffered from acute arthritis, confined to his seat on the balcony, the kitchen behind it and the bedroom. Hope came from accounts of miracles performed by a saint near Rimini. A pilgrimage was organised and we all subscribed to pay for his journey. He returned with slightly more movement and hope, but this was not enough. He still couldn’t descend the steps and feed his animals. He had two oxen when we arrived, but they were soon sold. He couldn’t get up the stairs again. His wife and son together were unable to support his weight. A vigorous goat often led his tiny wife on to our land. We didn’t protest as this was a useful way to keep the grass down, and anyway, when I could separate Italian from the local dialect, she would tell me all about Sisto. There was a new saint in the mountains behind us. He had hopes. One day we saw him sitting on a float that was carrying pilgrims into the mountains. This saint attracted many pilgrims. Coaches often blocked the road. Stories circulated of people miraculously cured. Sadly, not Sisto, though he enjoyed the trip and didn’t seem to be in as much pain after it. We had friends who lived just below the saint. She had acquired a loudspeaker and started to broadcast over the valley her followers singing. Locals found the narrow roads blocked so they could neither get to their fields or home. One of them shot the loudspeaker to pieces. After that, word spread and coaches stopped coming. The saint abandoned the site. It is now only frequented by wild boars and their hunters. Sisto sitting in the green sunlight under the corrugated iron roof did not give up hope. The journey back to the Rimini saint was too far but a friend took his singlet for a blessing. Its return accompanied by many a story, seemed to give him some relief. He died soon after. The countryside is sadly silent now. Nobody cultivates the terraces any more except from the end of October to early December for the olive-picking season. Then the terraces will be filled with voices. Sisto’s son has now rebuilt part of the house. The green roof was the first to go. Welcome back to the fractured world of technology, albeit one of substitutions! Some days it would be a nice change to be able to sit, like Sisto, and watch the world go by from underneath a green roof.